China is a country with an ancient civilization, and the modern Chinese standards of beauty often mimic those from thousands of years ago. The ancients had their own attitude towards beauty and fashion. 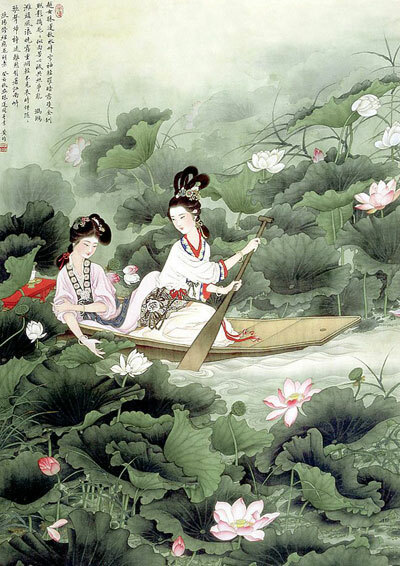 “Beauties Wearing Flowers” is a Chinese painting of the Tang Dynasty (618-907 A.D.). In this painting, women wear their black, glazed hair in a high bun. A strong contrast between colors is also expressed in their costumes: the colors of azure, ochre and carmine are in perfect harmony. In addition, they wear décolletages and their shawls are as thin as a cicada’s wings, which let their skin show faintly. In the painting, the women’s eyebrows are very pointed and eye-catching, which strongly resembles the eyebrow of the queen in the film “Banquet.” This typical eyebrow is called the “dot eyebrow,” and was exclusive to the Tang Dynasty. Some have mistaken it for an imitation of the ancient costumes of Japan, but it was actually typical of the fashions from the imperial court during the Tang Dynasty. 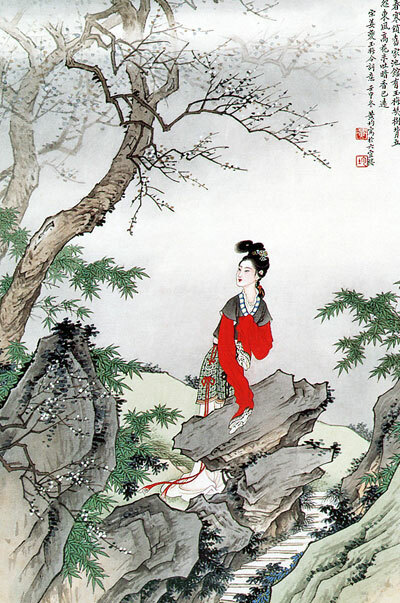 Lips were considered the sexiest part of oriental women. 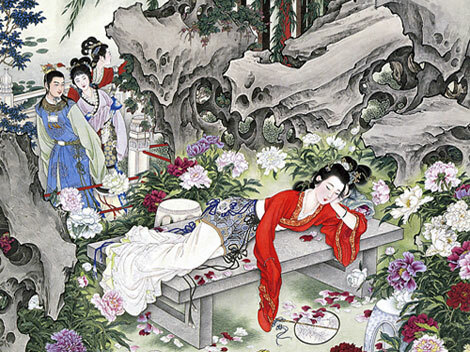 From the Han Dynasty (206 B.C.-220 A.D.) onwards, the ancients developed an intense interest in using rouge, which was something like lipstick, to ornament their lips into different sharps including circle-shaped, heart-shaped and flower-shaped and so on. Aiming to present a feeling of weakness and tenderness, the ancients of the Tang Dynasty usually used black dyestuff to dye their lips. Cherry-like lips once appeared in many ancient Chinese paintings, and today girls with tiny lips are usually the cover girls of Chinese fashion magazines.